The physical exam is at the heart of wellness care and an essential part of any doctor/patient relationship. Dr. Mario R. Perez is a primary care physician at SunCoast Premier Medical with locations in Clermont and Davenport, Florida, so providing the routine physical is a large part of his practice. A thorough evaluation of each patient allows him to create wellness strategies and screen for potential problems. What Constitutes a Physical Exam? There are no set guidelines for the physical examination, but, for Dr. Perez, it's a combination of observation and listening. They generally start with a brief history for each patient. If you are returning to SunCoast Premier Medical, Dr. Perez will have records to refer to and will just update his notes to ensure everything is current. New patients need to provide a more extensive history, though. It will include not just your personal medical history but that of your family, as well. A comprehensive history allows Dr. Perez to get a sense of the risk categories and screening tests needed to ensure optimal health. Dr. Perez will discuss daily habits with each patient, as well, looking for problems -- behaviors like smoking or alcohol use. Each exam will likely include a gender-specific physical, as well. What Does the Exam for Men Include? This allows Dr. Perez to screen men under his care for diseases and conditions that affect them, such as prostate enlargement or testicular cancer. What Does a Woman's Exam Include? 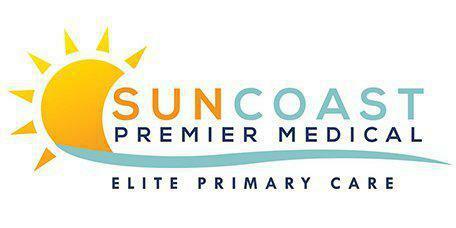 For the women who come to SunCoast Premier Medical, a physical is likely to include a breast and pelvic exam. Dr. Perez will take specimens and order routine testing such as a Pap smear and HPV test to screen for cervical cancer. Just as with the men, gender-specific exams allow him to check for conditions that usually affect women. Will There Be Lab Tests? Not all tests are done for every patient or every physical, but these are very common tests and are generally used to rule out conditions like diabetes or high cholesterol.